Can Doublejump FC take over the football world? Kristian Bouboukis also contributed — majorly — to this feature. With the Hyundai A-League Grand Final being contested in a few short hours, the football fans on the Doublejump Staff have been buzzing with excitement; we decided to channel that excitement by creating the ultimate 18-Pokémon squad to take the A-League — and the world — by storm. Each member of the Starting XI has been chosen based on hypothetical similarities to A-League players, and we dare say that the corresponding A-League team would be a tough one to match up against as well! For this experiment to work, we made some assumptions regarding the six base stats afforded to each Pokémon: Attack and Defence represent “raw” abilities (think shooting and tackling), while Special Attack represents the Pokémon’s technique and “offensive intelligence” (vision, pass selection, etc.) and Special Defence represents their “defensive intelligence” (marking, positioning, awareness, etc.). Additionally, given their incredible stats, we decided that it would be far too easy to use too many legendary Pokémon, and so we limited ourselves to just one in the Starting XI and one on the bench. The 4–2–3–1 appears to have become the standard formation when it comes to team-building in world football, providing the perfect balance between attack and defence as well as narrowness and width moving forward. Allowing one of the two defensive midfielders to push forward and play more of a box-to-box role adds another dimension to our attacks, while the interplay between our full-backs and the wingers in front of them is a tantalising prospect. You need a good, reliable and strong pair of hands in goal, and there are few who would be more suited to the position than Blastoise. The bipedal Blastoise would be better equipped to guard the goal than a quadrupedal Pokémon, while a flying Pokémon in goal would eventually tire from having to flap its wings constantly for 90 minutes. Blastoise could use its large size to close the space down over the opposition, and break out its Hydro Pump if ever in a pinch. Lopunny comes with very well-rounded base stats across the board, and a full back that isn’t afraid to make those overlapping runs with the wingers will be very useful in this side. With an Attack and Defence stat of 76 and 84 respectively, Lopunny just edges out in the defensive department while being more than capable of running down the line to join the attack much like Zullo, who claimed the second-most assists in the A-League this past season. The core of every good football team is a defender who can hold down the fort, someone big and strong who will make life hard for the opposing strikers. Few come bigger than the 6’11” Steel/Rock dual-type Aggron. With a base Defence stat of 180, it is among the highest of any species. Its base Attack of 110 would also make Aggron an aerial threat at set pieces, using Iron Head to deliver incredibly powerful headers towards goal. It’s always good to have a more nimble defender alongside your “brick wall”, one who can patrol the line and get some interceptions in while the bigger defender focuses on the physical matchup. That’s exactly what Drapion’s 95 Speed and 110 Defence bring to the table, along with a decent-enough 75 Special Defence to ensure that its positioning and reactions aregood enough to avoid leaving holes in the defensive line. A rather surprising pick for a defensive position, Starmie combines a strong 115 base Speed with ratings of 85 in both Defence and Special Defence to more than match up with opposing wingers, while its 100 Special Attack renders it quite solid when it comes to overlapping and building an attack down the right-hand side after the ball is won. Defensive intelligence is the name of the game for a holding midfielder, and Venusaur’s 100 Special Defence is plenty to ensure that it’s always in the right spots, supporting the play wherever necessary and slotting into gaps in the defence. 80 Speed ensures that Venusaur can get around the park, while its 100 Special Attack gives it the intelligence and quality required to start and coordinate attacks from those deeper positions. It’s also easy to imagine Venusaur breaking out the Vine Whip when a tackle just won’t do. Sitting just ahead of Venusaur on the pitch, Empoleon’s base stats are fairly well-rounded, with good numbers all around and neither the Attack or Defence numbers are drastically different from each other. As such, Empoleon would make a very solid box-to-box midfielder. Its base Attack and Defence are 86 and 88 respectively, both helping to retain possession as well as setting up the attacking plays. Its base Special Attack of 111 would also help to deliver that killer through ball to either of the wingers. Having a quick Pokémon running down the wing would be very helpful in setting up attacks, but in addition to Jolteon’s incredible base Speed of 130, it also boasts a base Special Attack stat of 110. Combine that with its Double Kick move, and Jolteon will be a very tricky Pokémon to mark, as you don’t know if they will send a ball into the box or create some space and dash past the full backs. Dimitri Petratos can seemingly score from anywhere, and Houndoom is much the same. A Special Attack stat of 110, along with 95 Speed will frighten opposition defenders. Its modest Special Defence stats allow it to drop deeper into midfield as well to provide the team with added flexibility. With a base Speed stat of 130 and a staggering 154 Special Attack, Mewtwo is the perfect fit for the key playmaking role. Much like Mierzejewski, who tore up the A-League in his first season with Sydney FC, Mewtwo is the type of Pokémon that can terrify defenders with speed and technique on the ball before picking out the perfect pass to release an attacker (or an overlapping full-back). Mewtwo also stands at a formidable 6’7” (200cm), making it more than capable of holding the play up as well. 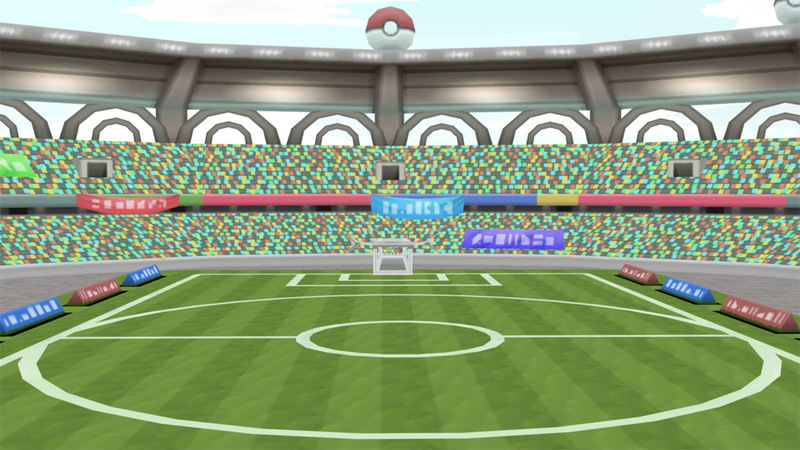 Boasting the highest Special Attack stat on the team (by far), Mewtwo would also be our choice to stand over the ball for set pieces despite its potential as an aerial threat, while its intelligence and composure make it the clear choice to captain the squad. Standing at 6’3” (190cm) and boasting a fantastic 120 Attack and 110 Special Attack, the Fire/Fighting-type Blaziken is a fantastic option to lead our line. Just like this season’s A-League Golden Boot winner, Blaziken’s combination of size, technique and raw attacking prowess combine with 80 Speed to create a somewhat complete striker, able to create chances for itself and good enough to finish the myriad chances its wingers will be able to create as well. Machamp: You’ve got to think that having four arms and a strong pair of legs bodes well for a reserve goalkeeper. Deoxys: With four Formes to choose from, Deoxys is the ultimate “utility sub”, able to slot into any position in any formation depending on what the game requires. Arcanine: A well-rounded Pokémon that could easily slot into the midfield or as a full-back, Arcanine also brings great pace off the bench — a major benefit in the later stages of a game. Kingdra: Boasting base stats of 95 in Attack, Defence, Special Attack and Special Defence, as well as 85 Speed, Kingdra can slot in just about anywhere on the park. Dragonite: With incredible attacking stats (100 Attack, 134 Special Attack) and great defensive ones (95 Defence, 100 Special Defence), Dragonite is a perfect fit for any midfield slot. Too much of a cheat code to start without feeling guilty. Cranidos: A Pokémon with 125 Attack, carrying the Head Smash move would be a very handy super sub, brought on specifically for that late set piece. Hitmonlee: The power and technique of Hitmonlee’s kicks would make it an ideal striker. With the perfect balance of physical and technical attributes, we believe that we’ve put together a squad that could take on any challenger from within the Pokémon world or elsewhere. With that being said, there are hundreds upon hundreds of others to choose from; if you think you can pick a better squad, feel more than free to give it a try and let us know what you’ve come up with over on our Facebook page or in our Discord server!